Many of us at 3dcart love nature and get out to experience it as often as possible. We also get involved in environmental causes, as we feel close to our Florida home and want to give back to it however we can. 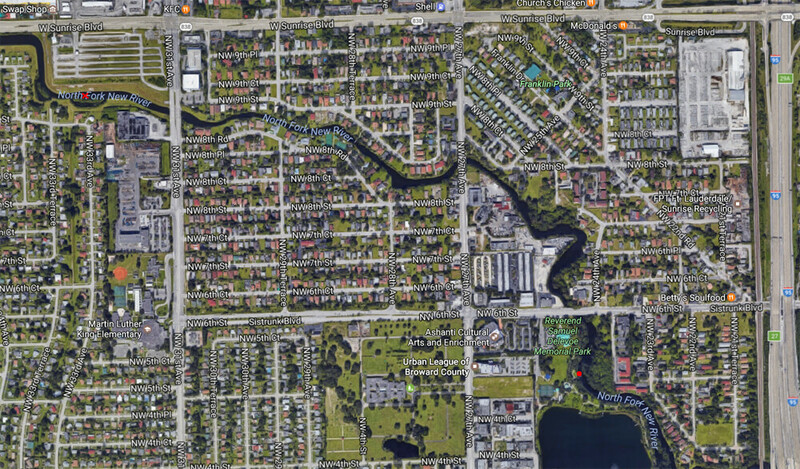 We do this in a few ways— by offering free 3dcart stores to Broward-based nonprofits, for example, but sometimes we like to get out and help more directly, and get our hands dirty for a good cause. 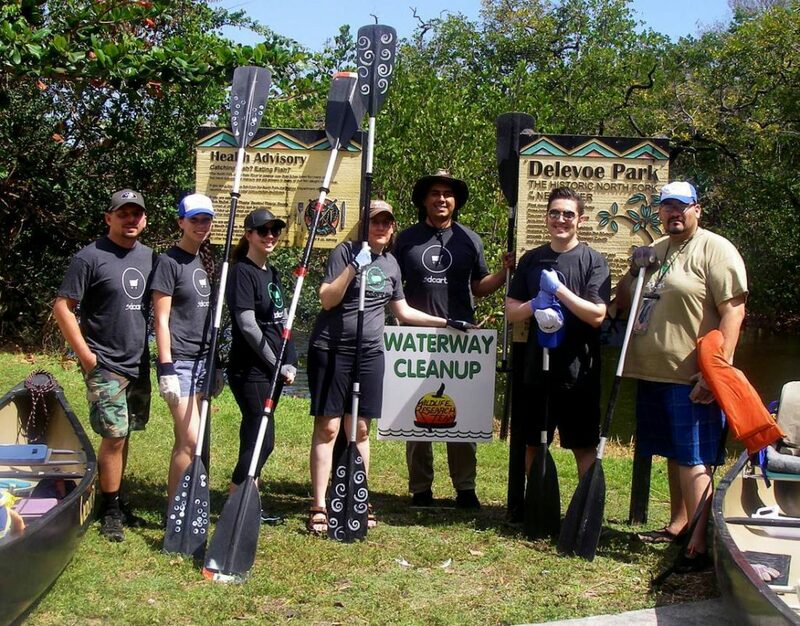 On March 11th, 2017 several volunteers from 3dcart participated in a special river cleanup event hosted by South Florida nonprofit Wildlife Research Team, on the North Fork of the New River in Fort Lauderdale at Rev. Samuel Delevoe Memorial Park. Wildlife Research Team, Inc. is a 501(c)3 nonprofit organization dedicated to the restoration and conservation of Florida's unique environment and wildlife habitat, and has been active for over 20 years. 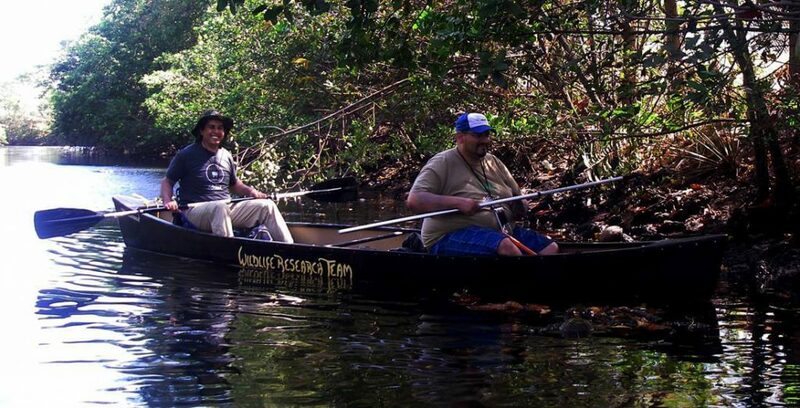 WRT exclusively uses canoes for all its projects, because they are clean, silent, and can reach areas inaccessible to all other craft, even kayaks. They can also hold an unbelievable amount of trash! This map of the North Fork shows our starting point (red dot near the lower right) and our turnaround point (red X near the upper left). 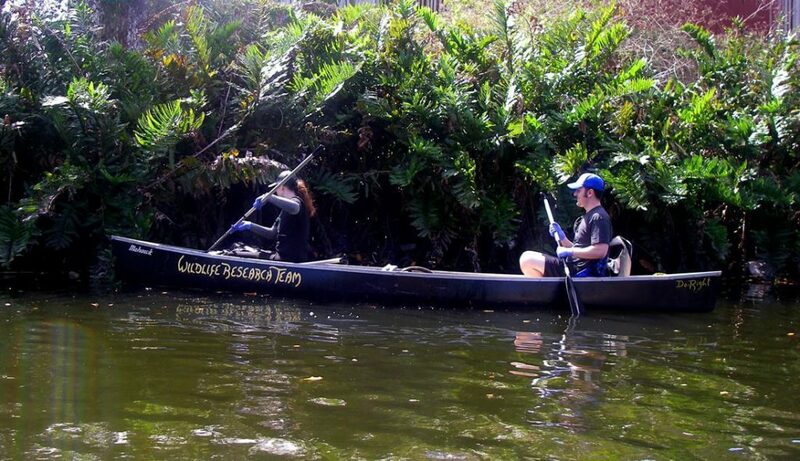 Even with little to no canoeing experience, the volunteers from 3dcart got into the spirit and performed like masters. 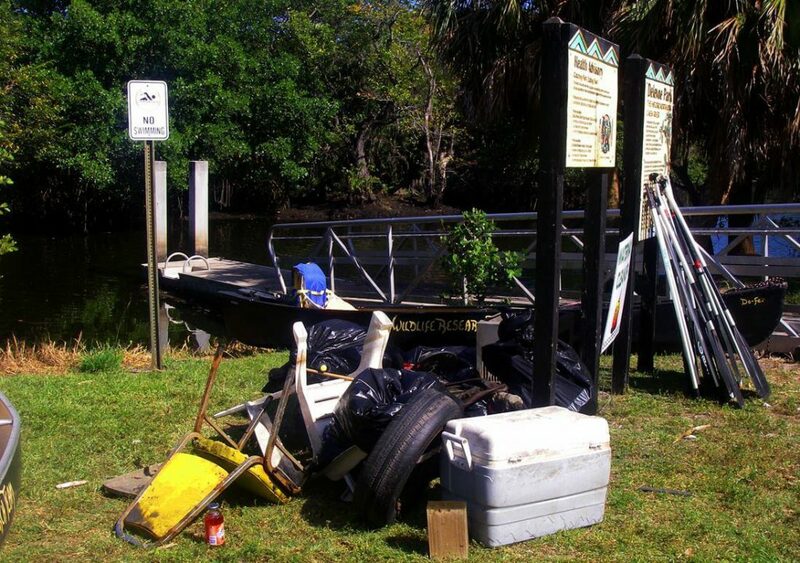 Among the debris removed from the river were several bags' worth of plastic, Styrofoam, and glass cups and bottles among all kinds of litter, a cooler, a large metal box that may have once been an air conditioner, a couple of chairs, bicycle parts, and even a tire still attached to a rust-covered car wheel. Many of the largest items required a lot of cooperation to get out of the water. 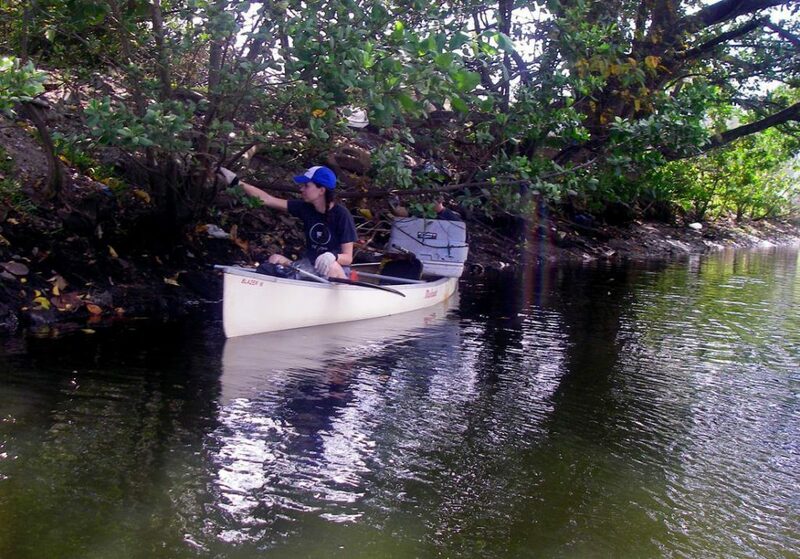 Cristina steadies her canoe so Nick can wrestle an abandoned cooler into the boat for disposal. Kathryn McDermott snags trash from the riverbank while Salvatore Monteleone steadies their canoe. We're looking forward to the next excursion!